Still back to California, within the frames of the IROS conference we were given the opportunity to tour University of California Berkeley. UC Berkeley is one of the very top research and educational institutions around the world, and altogether 7 labs prepared with demos and tours within thre proader scope of robotics. Within the frames of the Lab for Automation Science and Engineering, first came the demo of the needle steering group (they ahve been working together with Hopkins for long): "Theis approach is to integrate real-time imaging, adaptive modeling and planning algorithms and image-guided intraoperative needle control. By enhancing physicians' abilities to accurately maneuver inside the human body with minimal trauma to the patient, the needle steering approach has the potential to improve targeting accuracy for a wide range of procedures, including therapeutic imaging, chemotherapy, cell therapy, biopsy and tumor ablation. These advances can improve the outcome of existing procedures and enable needle-based procedures for conditions that currently require open surgery or systemic treatment." More needle steering from them workshop at ICRA. Miccai 2008 workshop. 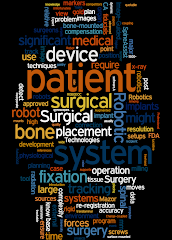 The Medical Robotics group has been there for a long time, rolling out complete systems and concepts as well. Beyond, we visited the Center for Collaborative Control of Unmanned Vehicles (C3UV), the Robot learning lab, Historical UC Berkeley Robotics and Intelligent Machines Lab, the Hybrid systems lab, the Biomimetic Millisystems Lab, the Teleimmersion lab, Floating Sensor Network Lab, and the Mechanical Systems Control Laboratory.